Part of our American Folk collection which combines South American Folk art with Scandinavian Modern designs of the 30s. 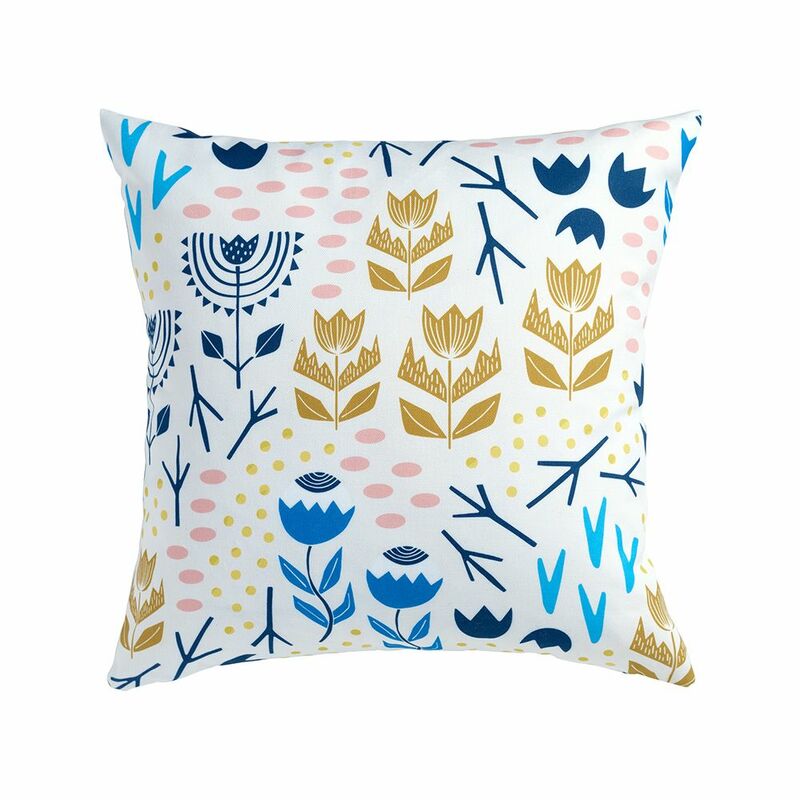 Richly decorated hand-drawn stylised flora merge with naive mark-making and geometrics, with a nod to the Mille Fleur of the Arts & Crafts movement. Exotic botanical motifs are depicted in bright azure blues, rich golden yellows, and warm blush pinks.